Everyone loves a political rocker (don’t they?) 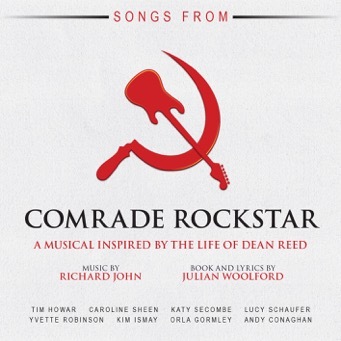 and this musical, Comrade Rockstar, from the writer Julian Woolford with music by Richard John is about as political as you can find, telling the story of Dean Reed, a man who was known at the height of his fame as the Soviet Elvis. 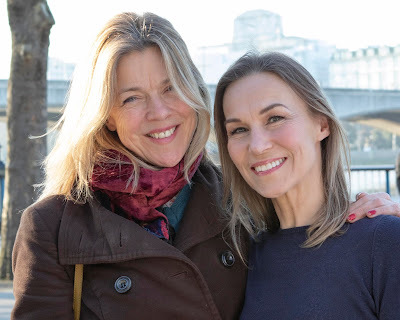 Sim G Records, a label dedicated to new musical theatre writers and artists, has just released the musical’s soundtrack. The soundtrack kicks off upbeat with Dean driving and singing about driving (Driving Ambition, “...my pedal to the floor, with my driving ambition, there’s a world to explore”) in a comfy and familiar all American fashion before the darkness quickly sets in with Smallville Colorado, that I can only hope is a little less threatening when performed on stage. It’s all gentle swaying motivational rock with comforting and familiar lyrics, though Gonna Be reveals Reed’s rather crappy patriarch - “Daddy said I’d never amount to nothing”. These tunes along with the cute little ditty, Minnesota, could be a mini soft-rock album in themselves. As Dean (charismatic Canadian actor Tim Howar) continues his strange career and journey through Eastern Europe in the 60s and 70s, high points come in the form of My First Love and Wonderful Girls which fully encompass the “Elvis” part of the Soviet Elvis persona with warmth and swoon-able lyrics, even if the word “girls” starts to lose all meaning towards the end of the latter. One can clearly see why Woolford and John were drawn to Dean's story, from the unique political attitude to his complicated marriages, to his lack of musical success in the US, unless you count the uncertified covers by the likes of Chuck Berry, the real Elvis and The Beatles. The rock song that this Rock Musical has been promising in the long buildup of 12 songs (out of 18) comes in the form of the title number, which is positively head-banging and rounds up Dean Reed’s journey to acceptance and legend status (in Soviet Russia anyway) wonderfully. Watching You Walk Away continues this, complete with screeching guitar opening. This isn’t a balanced album, some songs are almost unlistenable (Don’t Go) and some are just easily forgettable, but Comrade Rockstar is full of incredibly talented performances and an incredibly complex character at the centre, making it worth every one of Richard Coughlan's fabulous guitar solos.